Vedrana Rudan was born in Opatija in 1949. She holds a degree in Education from the University of Rijeka, specializing in the Serbo-Croatian and German languages. She has worked as a teacher, a tour guide a journalist and has been a novelist for the past sixteen years. 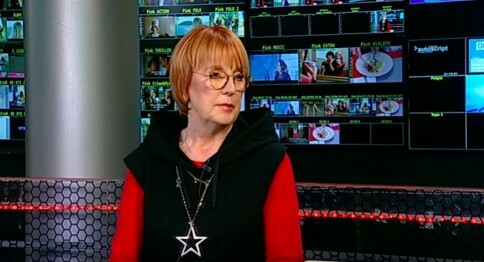 She has written thirteen books: Uho, grlo, nož (2002) (Ear, Throat, Knife), Ljubav na posljedni pogled (2003) (Love at Last Sight), Ja, nevjernica (I, non-believer) (2005), Crnci u Firenzi (2006) (Black People in Florence), Kad je žena kurva, kad je muškarac peder (2007) (When a Woman is a Whore and a Man is a Fag), Strah od pletenja (2009) (Fear of Knitting), Daboga da te majka rodila (2010) (Mothers and Daughters), Kosturi okruga Medison (2012) (The Skeletons of Madison County), U zemlji Krvi i Idiota (2013) (In the Land of Blood and Idiots), Amaruši (2013), Zašto psujem (2015) (Why I Swear), Muškarac u grlu (2016) (The Man in the Throat), and Život bez krpelja (2018) (Life without Ticks). In Will Firth’s new English translation of Rudan’s novel, Mothers and Daughters, the reader can peer into the complicated relationship the protagonist has with her mother amidst the unique backdrop of post-socialist Croatia. When the protagonist’s aging mother suffers a stroke and must be moved to a nursing home, which she loudly protested against her whole life, a push and pull between mother and daughter ensues. Firth has captured Rudan’s sharp language and wit for English-speaking audiences and the tragicomic descriptions in the first chapter will leave you wanting more. Read the first chapter of Rudan’s Mothers and Daughters below. Hrvoje Ivančić was born in 1983 in Zabok. He completed his degree in history at the University of Zagreb. He’s authored a travelogue, a novel and a collection of short stories: Dunavski blues (2011) (The Danube blues), Samsara: Put na istok (2014)(Samsara: Passage to the East), Za’atar: Priče s bliskog istoka (2016) (Za’atar: Stories from the Middle East). He’s also written a number of articles about his travels to Africa and the Middle East and has appeared on travel television programs. Read Ivančić’s short story, The Red Wedding Dress, from his book Za’atar in the link below. Korana Serdarević was born in 1982 in Zadar and holds a degree in Croatian Language and Literature and Comparative Literature from the University of Zagreb. She is a writer and a high school teacher and previously worked as a journalist for the widely read Croatian daily newspaper, Večernji List. Her award-winning short stories have been translated into multiple languages and can be found in her collection of short stories, Nema se što učiniti (2015) (Nothing Can be Done). Her debut novel, Eksperiment Irene Tot (2017) (Irena Tot’s Experiment), was short-listed for the prestigious t-portal prize. In her novel, Irena Tot’s Experiment, Serdarević takes on questions of free will, freedom and change from the protagonist’s perspective, a woman in her early thirties who one day decides to veer off the well-trodden path she was on, leading towards a brilliant career, marriage, and children. She instead purposefully dives into the unknown. Since she doesn’t do what’s expected of her she consequently endures the strange looks and quiet judgment of others. We’re all familiar with the steady expansion of women’s rights over the past fifty years, but Serdarević challenges the reader to probe the confines of what today's society still expects of "good girls" and "good women" with this important and engaging novel. Read an excerpt from Serdarević's novel, Irena Tot's Experiment, in the link below. Sven Popović, born in Zagreb in 1989, holds a degree in Comparative Literature, English Language and Literature and American Studies from the University of Zagreb, Faculty of Philosophy. 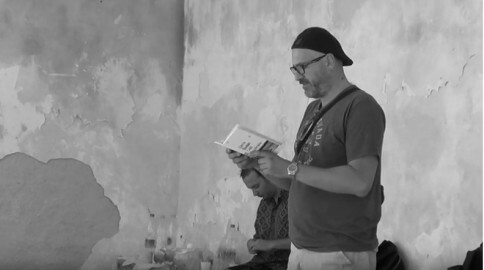 He has published a collection of short stories Nebo u kaljuži (2015) (The Sky in a Quagmire) and a novel Uvjerljivo drugi (2018) (Loser by a Landslide). His writing has been included in many literary magazines and anthologies and has been translated into English, German, Polish and Romanian. Aside from fiction he also writes music and literary criticism for various magazines. He is a co-founder of the literary group Tko čita? (Who Reads? ), which organizes literary evenings with the goal of giving younger authors the opportunity to read and promote their work. In Popović’s autobiographical novel, a nameless protagonist takes us through a narrative bursting with the familiar themes of youth like parties, drinking, endless hanging out, painful romances but all with the underlying current of his generation’s particular cross to bear: despite being well-educated, opportunities are hard to come by in a country where brain drain is in full force. Read an excerpt from Loser by a Landslide in the link below. Tomica Bajsić (b. 1968) was born and raised in Zagreb where he also attended the Academy of Fine Arts, part of the University of Zagreb. 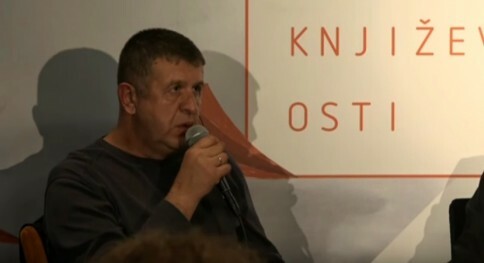 Bajsić is a poet, a writer, an artist and a translator. He has published five collections of poetry, two travelogues and a children's picture book. His most recent collection of poetry is Nevidljivo more (2017) (Invisible Sea). 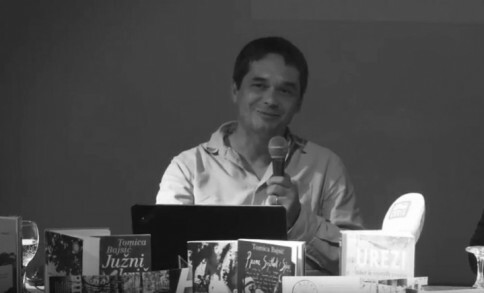 He is the winner of the reputable poetry prize Goranovo proljeće for his 1998 poetry collection, Južni križ (Southern Cross). He runs the design and publishing organization Druga Priča (Another Story). He is also the president of the Croatian PEN center. In his short story, The Hermit's Freedom, Bajsić's prose drips with his poetic sensibilities and his rich descriptions paint many vivid scenes for the reader. The protagonist comes into contact with a mysetrious, Polish artist who has made his home in a secluded tropical paradise far from his motherland. Read Bajsić’s short story, The Hermit's Freedom, in the link below. Read a review of the English translation of Vedrana Rudan’s heavy-hitting novel which challenges all aspects of the status quo, Love at Last Sight (2017). Courtney Angela Brkić is an American author of Croatian descent. She has degrees in both archaeology and writing. Her writing is influenced by her family’s history as well as her work in post-war Bosnia-Herzegovina as a forensic archaeologist and at the United Nations International War Crimes Tribunal. Her work includes a collection of short stories, Stillness: and Other Stories (2003), a memoir, The Stone Fields (2004), and a novel, The First Rule of Swimming (2013). In her short story about a family road trip across the U.S., Crossing the Rio Grande, Brkić deftly explores the contradictions inherent to the immigrant experience, as seen through the eyes of a Bosnian refugee. The protagonist’s vision of a romanticized American West, fuelled in part by a popular German cowboy book series he read as a child, conflicts with the realities he encounters on the problem-filled cross-country road trip he takes with his family in tow. The divide between his childhood fantasies of the freedom the Wild West promises and his experience as a foreigner in rural America further deepens with each additional mile traveled. Read Brkić’s short story below in the original English. 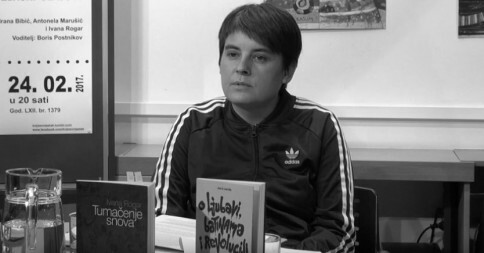 Renowned Croatian author, Dubravka Ugrešić, has won this year's Tportal award for best novel of the year.